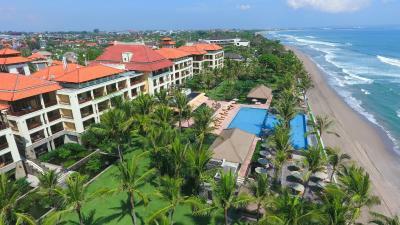 Lock in a great price for The Legian Bali – rated 9.6 by recent guests! Super friendly people who always remember your name and have a smile on their faces. 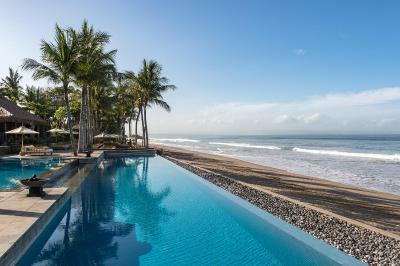 Beautiful beach, lovely landscape, professional management, very friendly staff, amazing tropical ambiance with very special privacy in the villas at The Club. One of the best experience ever. Very attentive staff, always greeting me by name. The manager is caring and always trying to socialize with guests and taking feedback from them. It was very relaxing vacation. Although, I’m a frequent traveler person and I have been to different hotels, this is my first review in Booking.com which I found myself obligated to write it as a result of a great hospitality from the hotel staff. Keep the good work and definitly I will recommend it to others. The whole experience was just perfect! The beautiful beach...the beach sofa set ups looking over the beach with a panoramic view...the breakfast buffet is one of the best we had...the staff...the suit...the candles lights everywhere...worth every penny. 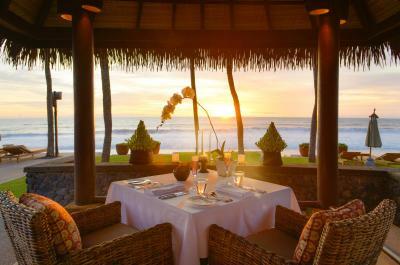 The staff was amazing, the food was great, the room lovely and the beach perfect. Absolutely amazing service. Front desk and concierge went out of their way to make our stay beautiful. They organized anything we asked for. Eka at front desk was really exceptional. Rooms are just not ordinary room they are huge apartments and pics don’t do justice to them. Just book and don’t think twice. Absolute gorgeous sunset views from the rooms and it’s 7 star standards. 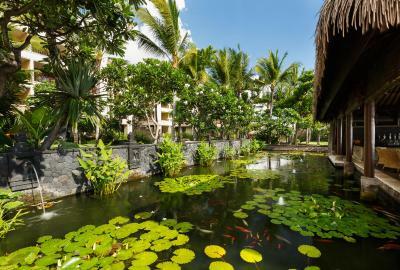 The Legian Bali This rating is a reflection of how the property compares to the industry standard when it comes to price, facilities and services available. It's based on a self-evaluation by the property. Use this rating to help choose your stay! 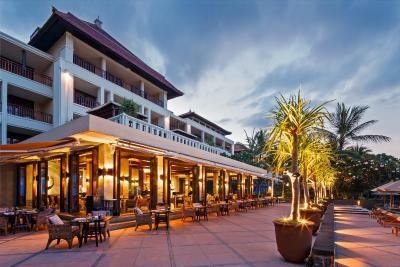 One of our top picks in Seminyak – and a guest favorite. 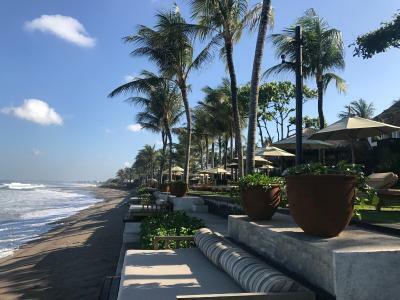 A beachfront property facing the Indian Ocean, The Legian Bali offers luxurious accommodations set in landscaped tropical gardens. 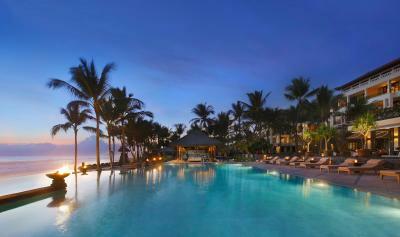 Located along Seminyak Beach, it features a three-tiered outdoor pool. 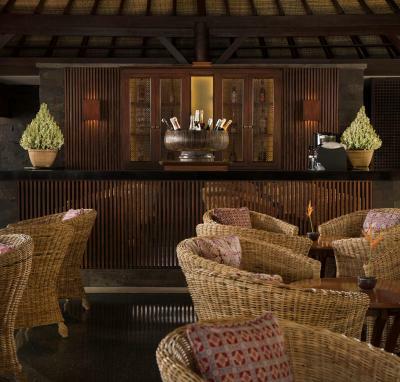 Guests enjoy daily breakfast and afternoon tea as well as complimentary mini-bar. Guests also have access to group fitness activities and WiFi throughout. 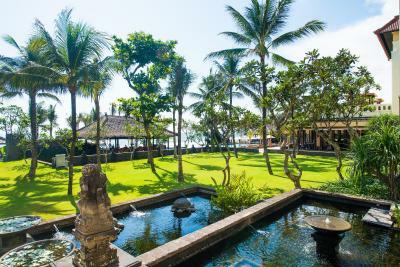 The Legian Bali is 9.3 mi away from Ngurah Rai International Airport and airport transfer is available at an additional charge. 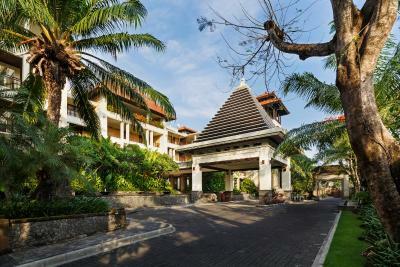 Each room at The Legian features a 32-inch flat-screen TV, a Blu-Ray player, 2 iPods with a Bose sound dock and entertainment system. Rooms come with spacious living areas and private balconies. The bathrooms have bathtubs and double vanity sinks. Guests can sign up for yoga lessons, exercise at the gym, or enjoy some quiet reading at the library. Overlooking the beach, the spa includes a manicure/pedicure lounge and a steam room. Staff at the 24-hour front desk can provide advice on what to do in the area. Buffet breakfast is served at the restaurant, which also offers European dishes for lunch and dinner. 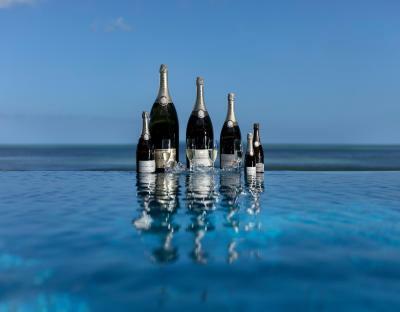 The pool and ocean bars serve light meals and cocktails. Wines and cigars can be enjoyed at the lobby lounge. 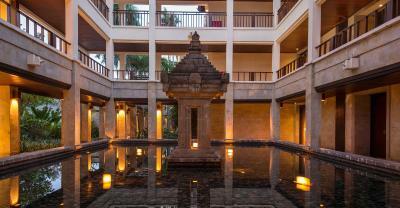 The Seminyak Square Shopping Mall is 1,300 feet from the accommodations, while Petitenget Temple is 1,300 feet from the property. 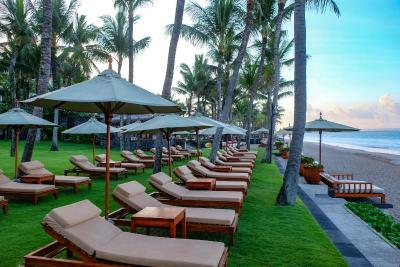 When would you like to stay at The Legian Bali? 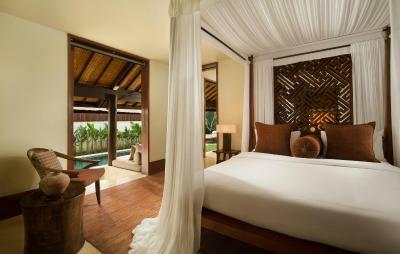 The air-conditioned suite is equipped with large balcony, a flat-screen TV, a personal safe and a coffee machine. 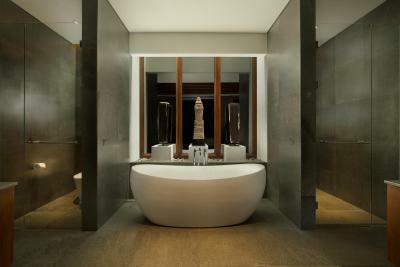 Private bathroom includes large bathtub, separate shower and double vanities. Suite does not have capacity for extra bed. Offering more space, this suite features ample living area, large balcony and a four-seat dining room. 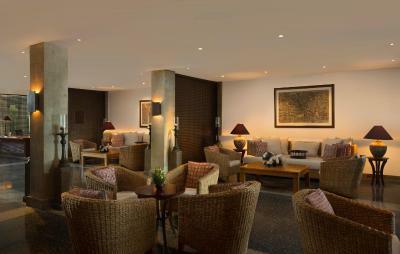 The air-conditioned suite is equipped with a flat-screen TV, a personal safe and a coffee machine. Private bathroom includes large bathtub, separate shower and double vanities. 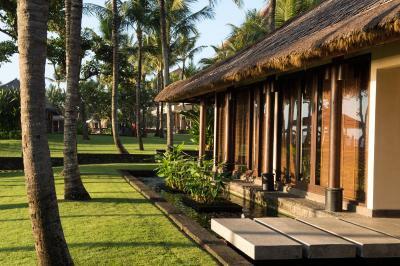 Located within a private compound at The Club at The Legian Bali, just across The Legian Bali, this villa comes with a semi-outdoor bath area, outdoor dining area and private butler. 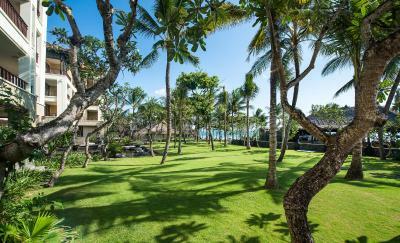 This villa also comes with its own lush tropical garden. 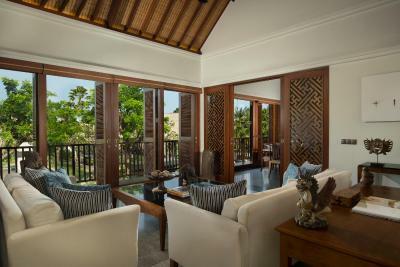 Spacious suite overlooking the ocean, accommodating up to 4 people features large balcony, spacious sitting and dining areas. All bedrooms have individual private bathroom with hairdryer, bathrobe, shower and bath facilities with free toiletries. This spacious and air-conditioned presidential suite features a separate living area and a balcony overlooking the sparkling ocean view. It also comes with a dining area, flat-screen cable TV, and an private bathroom featuring bath and shower facilities, and free toiletries. 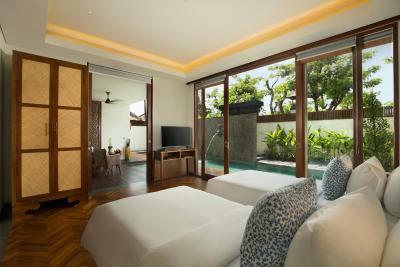 This villa has 2 bedrooms and 2 private bathrooms. 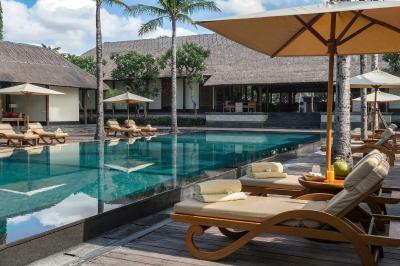 This villa features a private pool, mini-bar and private entrance. 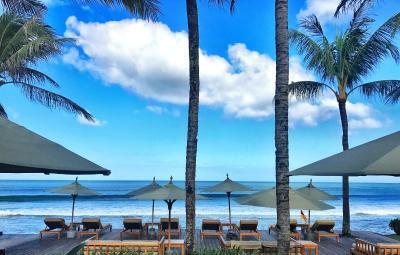 House Rules The Legian Bali takes special requests – add in the next step! 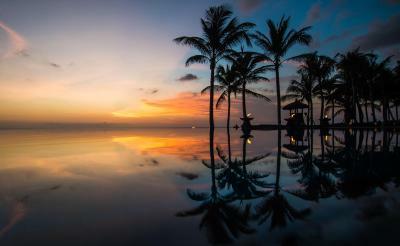 The Legian Bali accepts these cards and reserves the right to temporarily hold an amount prior to arrival. 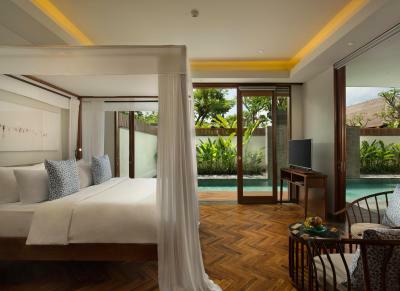 Please note that a maximum of 1 extra bed or 1 baby cot is allowed in a One Bedroom Deluxe Suite, Two Bedroom Suite, The Seminyak Suite or in a One Bedroom Pool Villa. Extra bed is not allowed in Studio Suite category. Please note that the full amount of the reservation is due before arrival. 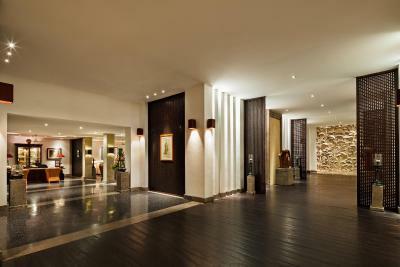 The Leading Hotels of the World will send a confirmation with detailed payment information. After full payment is taken, the property's details, including the address and where to pick up the keys, will be sent to you by email. There is absolutely nothing to dislike about this place. YES, GOOD FOOD AND SERVICES. The massage was ok but not as good as expected from a "Bali-top-hotel-therapist". 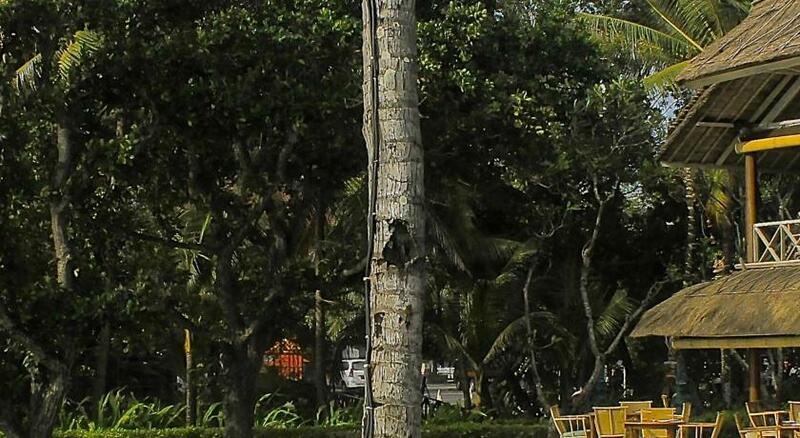 At times there is (a lot of) plastic in the sea and on the beach, - this is of course not the fault of the hotel. 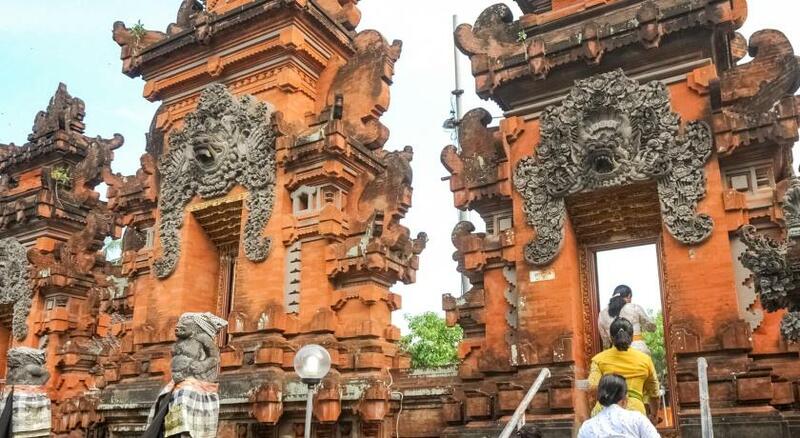 The surrounding area (Seminyak) is very touristy, - too crowded for my taste. Excellent hotel, - fantastic, very accommodating and helpful staff, - delicious, tasty and beautifully presented food, - great pools situated almost on the beach, - generously sized, pleasant rooms, - very nice, well-organised gym. I highly recommend the hotel itself! Everything - superb in every way especially all the staff - every little thing was thought about ahead and their responsiveness when called upon was so easily and happily provided. 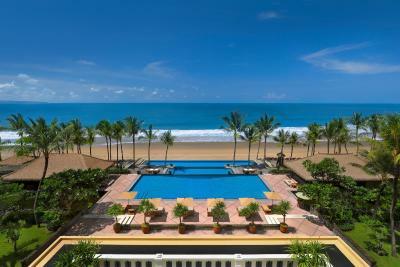 The room was divine, ocean views stunning, poolside excellent. The hotel cannot be faulted. It really was one of the most relaxing holidays I've had in a long time. 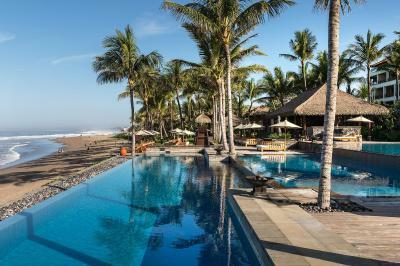 I only wish it was not in Seminyak. While the town is lovely, I find it too commercialised. The spa was wonderful. Best massage I've ever had! Their food was always fresh and tasty, be it breakfast, lunch or dinner. Sunset drinks at the pool/beach front was better than the other beach clubs in the area. Our room was comfortable and spacious. The staff, always attentive and accomodating. We will be back!!! It was sad to leave. So far, only one from 100 hotels has received 10 points. This will be the second! 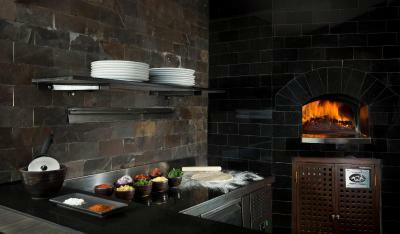 Everything was at the highest level - staff, food, comfort.. Breakfast was excellent. View from the pool - fabulous. The staff - a little intrusive, but it did not interfere too much. Everything so clean, tidy. Fruits in the room every day. A free minibar is added daily. The room is cleaned and towels are changed twice a day. Safety at the highest level. Afternoon tea by the pool or in the room for free. I would recommend asking for a room close to the lobby and for me preferably on the ground or first floor to avoid needing to use the lift. Our room was quite a distance from the major facilities. Everything was lovely and the staff were wonderful. The food was delicious. 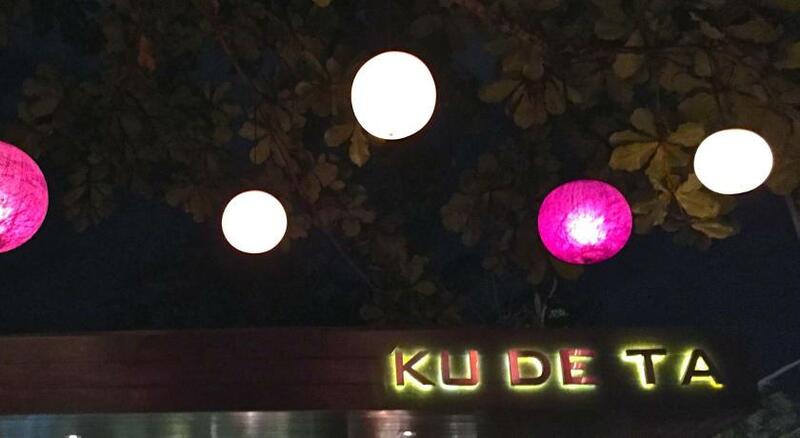 The location, wonderful staff and service.